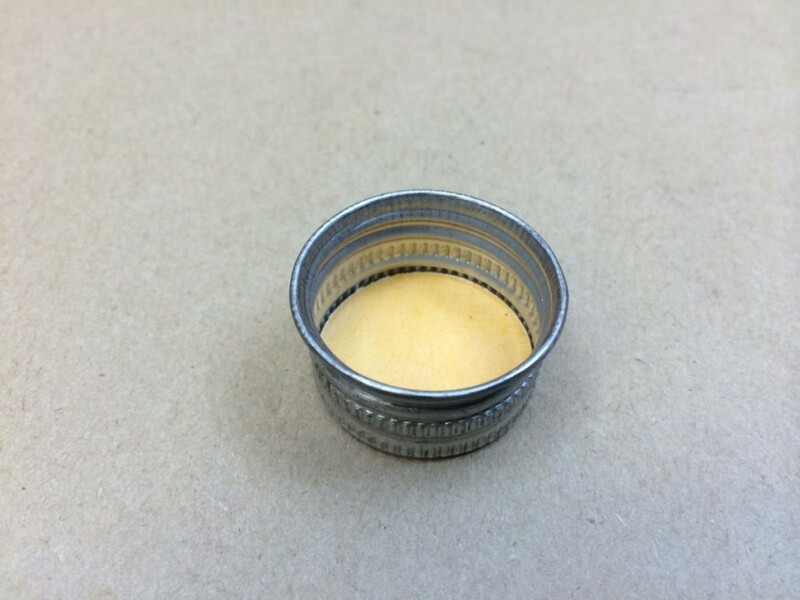 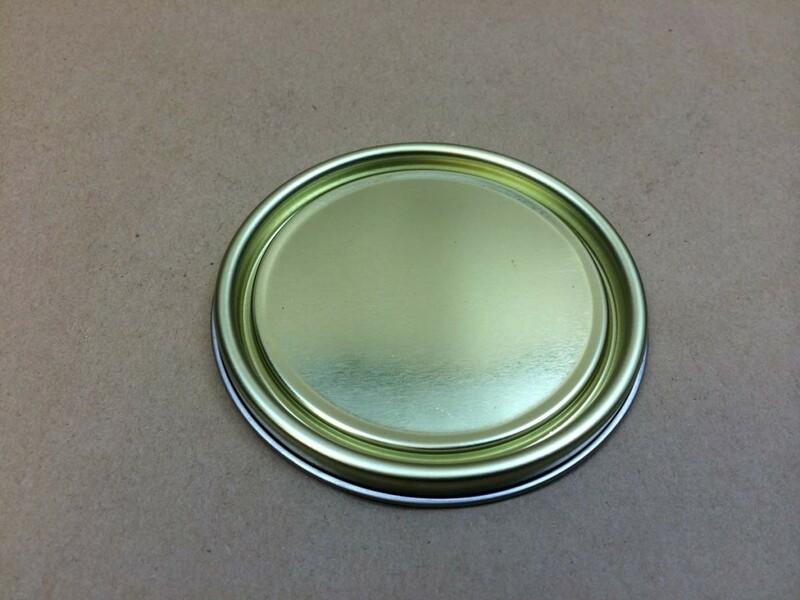 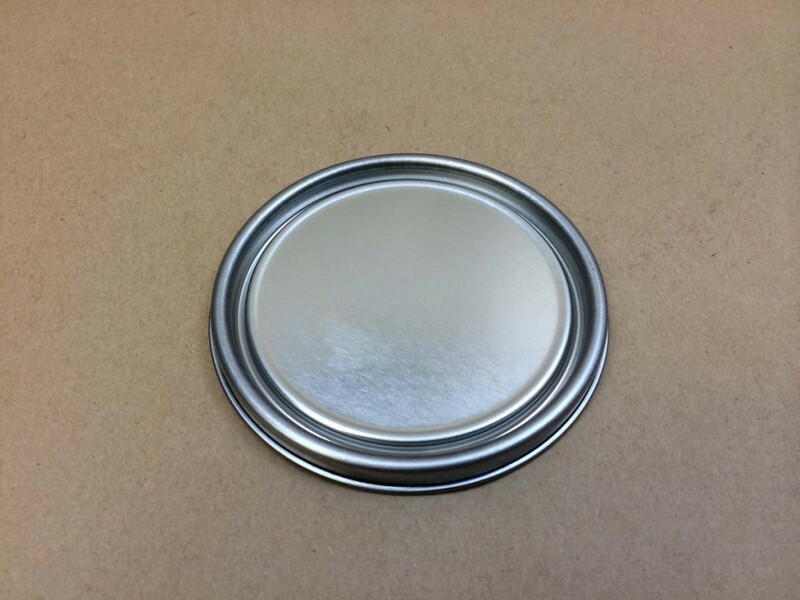 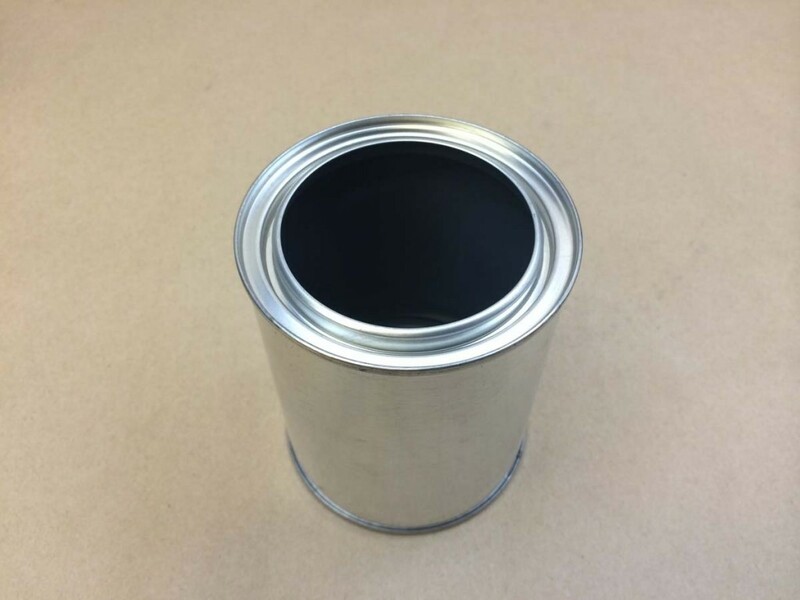 Our smallest paint can style container is our 4 ounce or 1/4 pint round paint can. 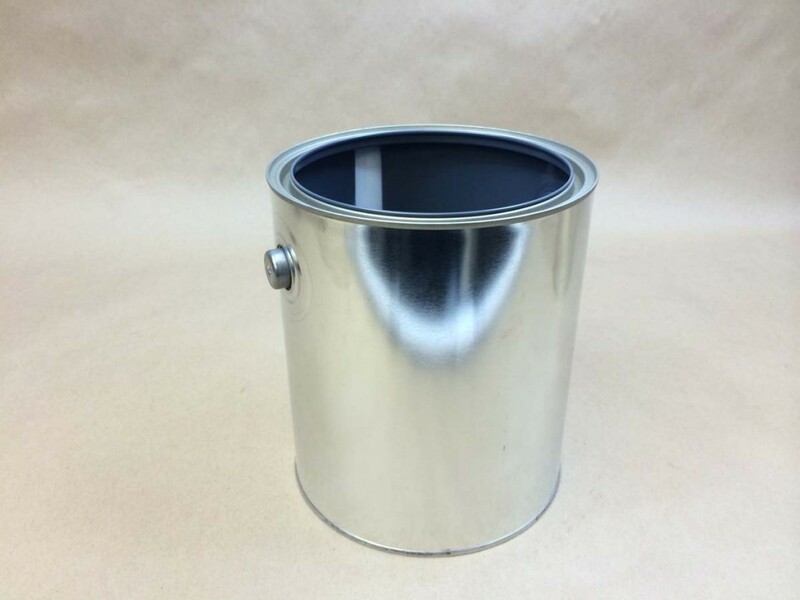 Our largest paint can style container is our Imperial Gallon or 5 quart can. 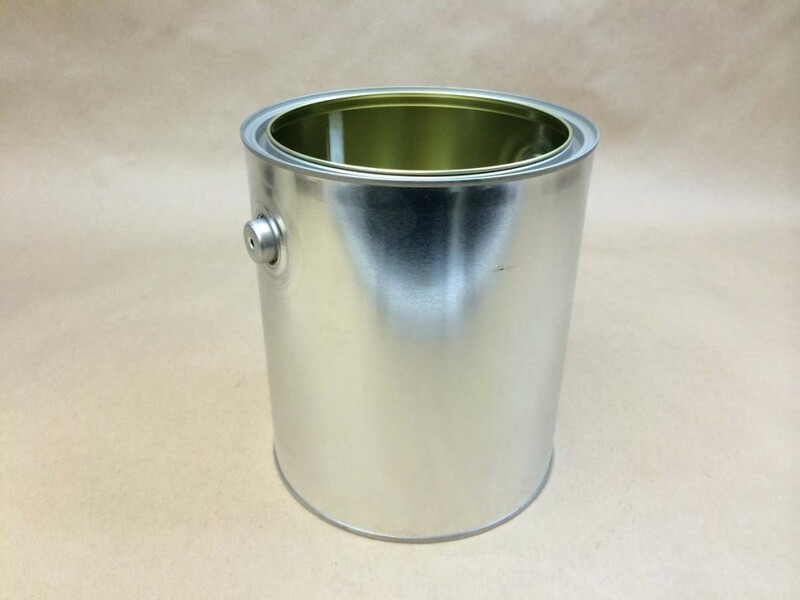 Our metal paint cans are stocked both lined and unlined. 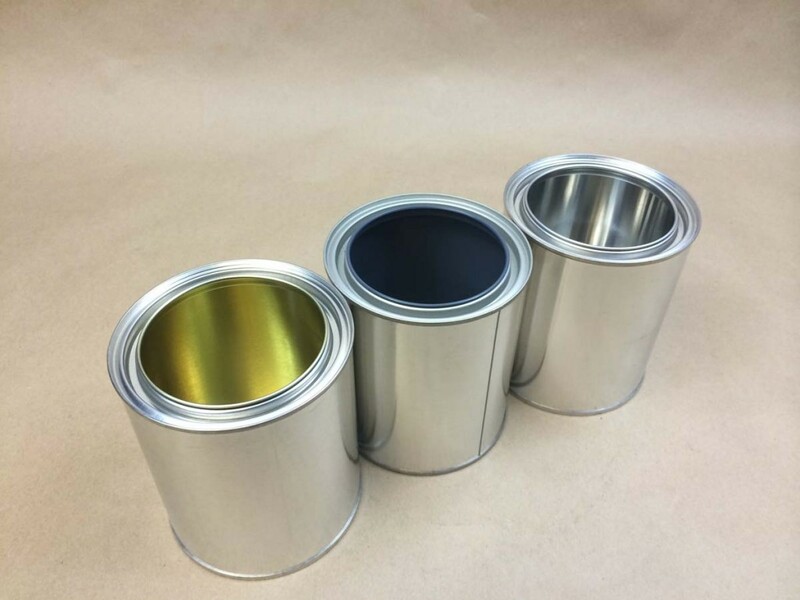 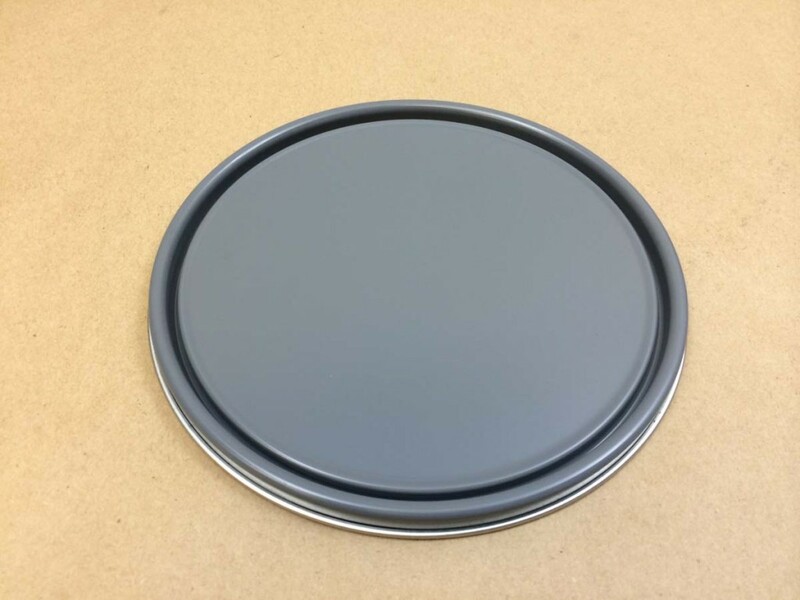 Some of our lined cans are available with a grey lining (pigmented epoxy phenolic) or with a gold lining (unpigmented epoxy phenolic). 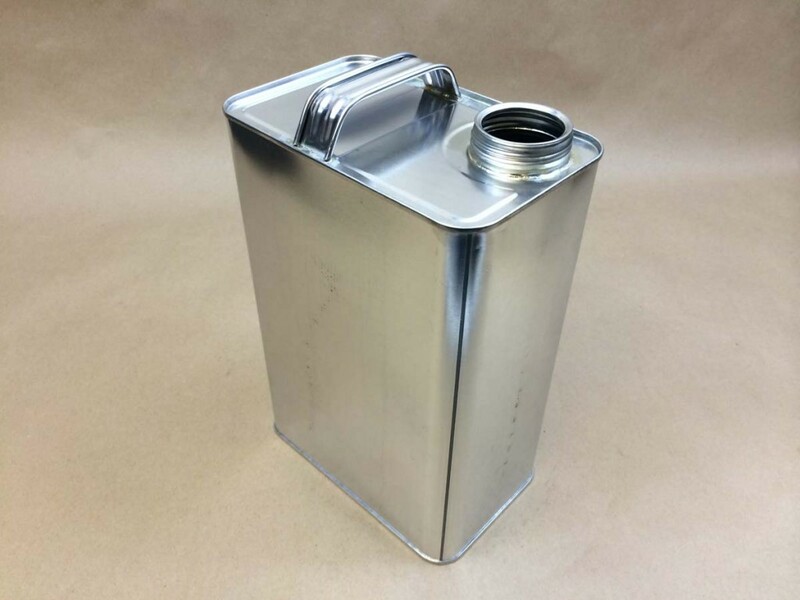 Our gallons are available both with and without handles. 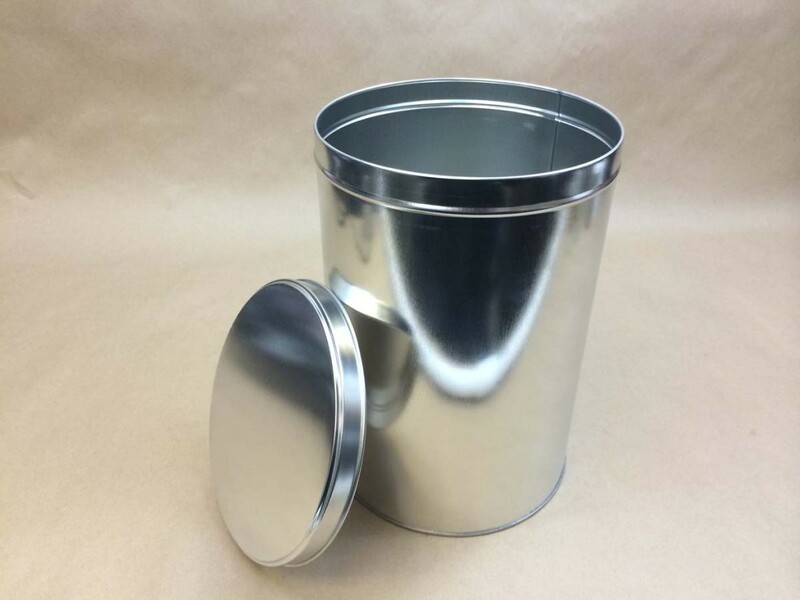 Our F style metal cans are stocked in sizes from pint cans (16 ounces) to 1 gallon (128 ounces). 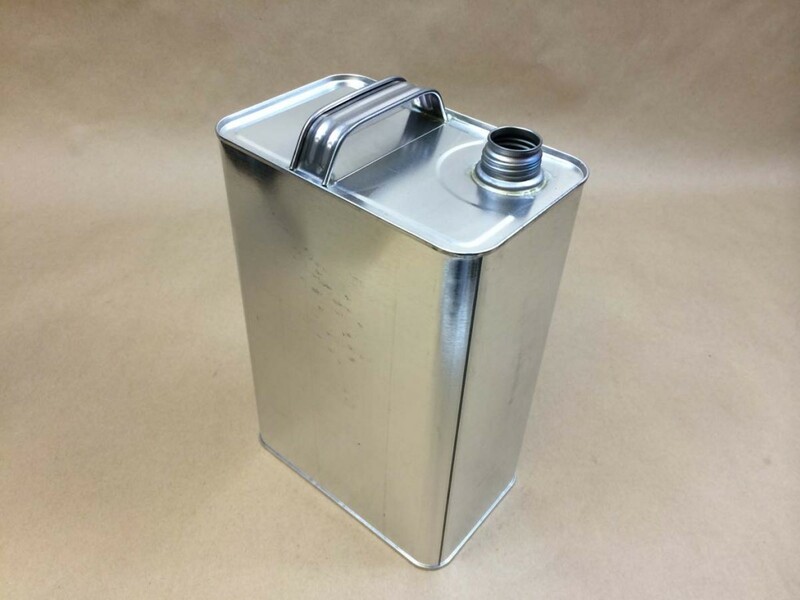 We stock both a UN rated 1 gallon F style metal can and also a 1 gallon F style metal can that is not UN rated. 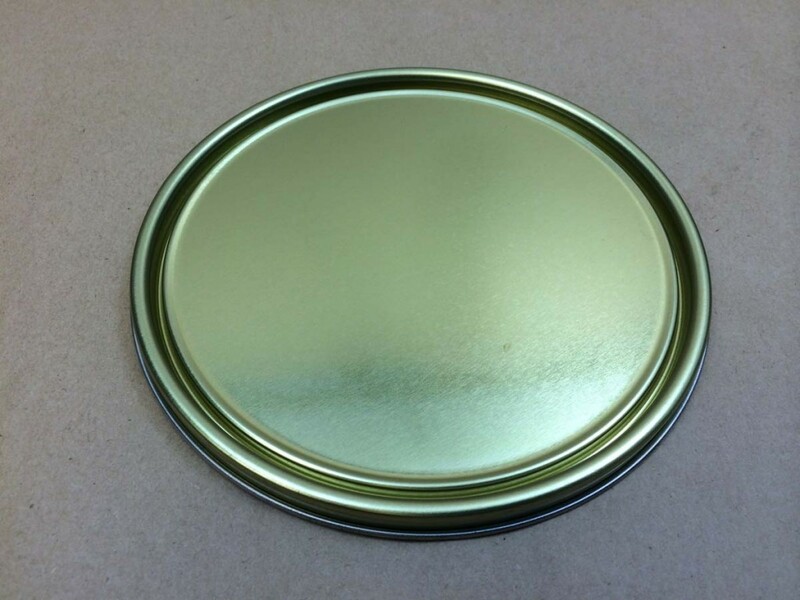 We also carry a 1/2 pint (8 ounce) round utility can which is listed below. 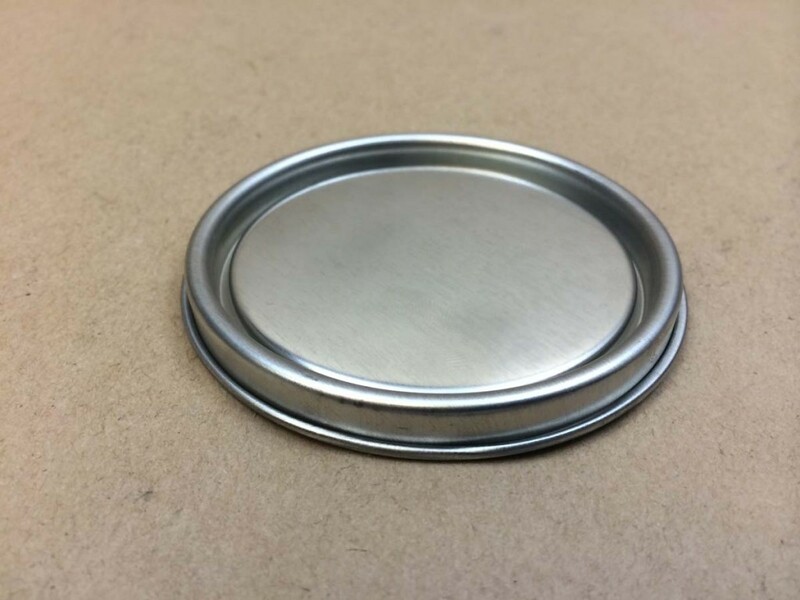 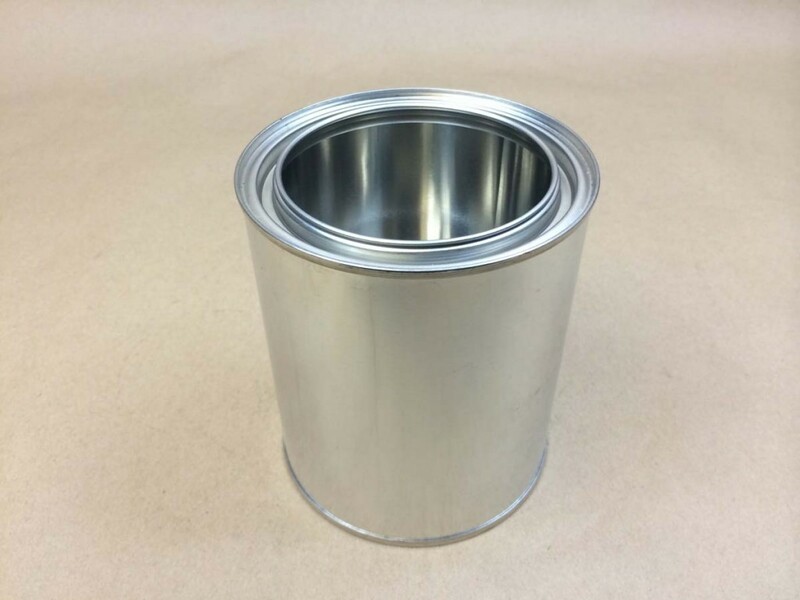 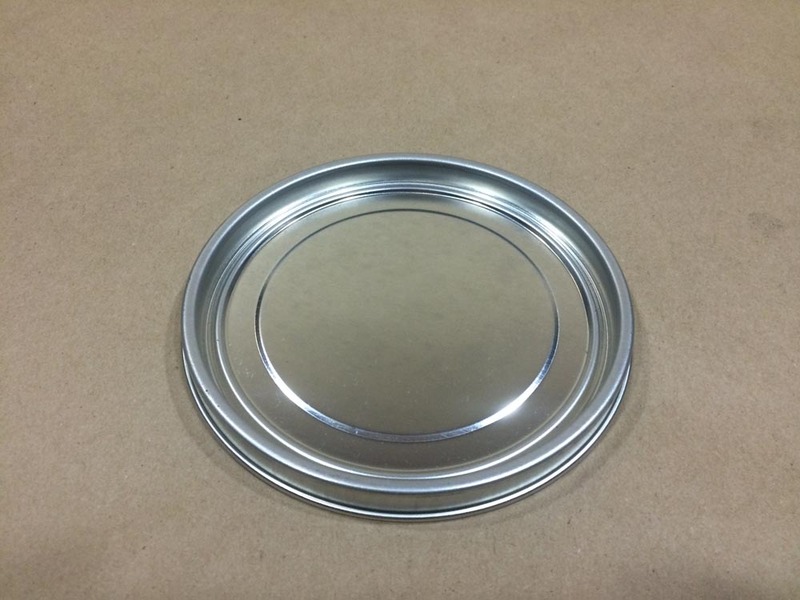 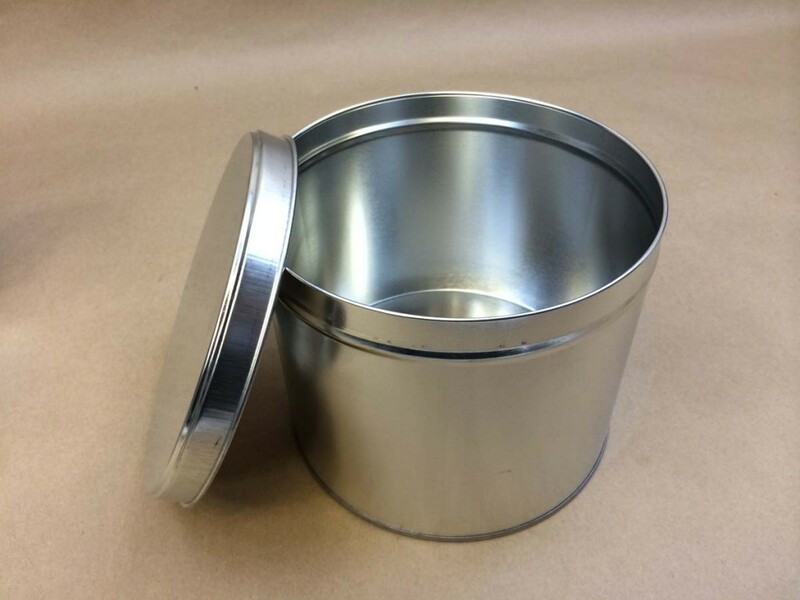 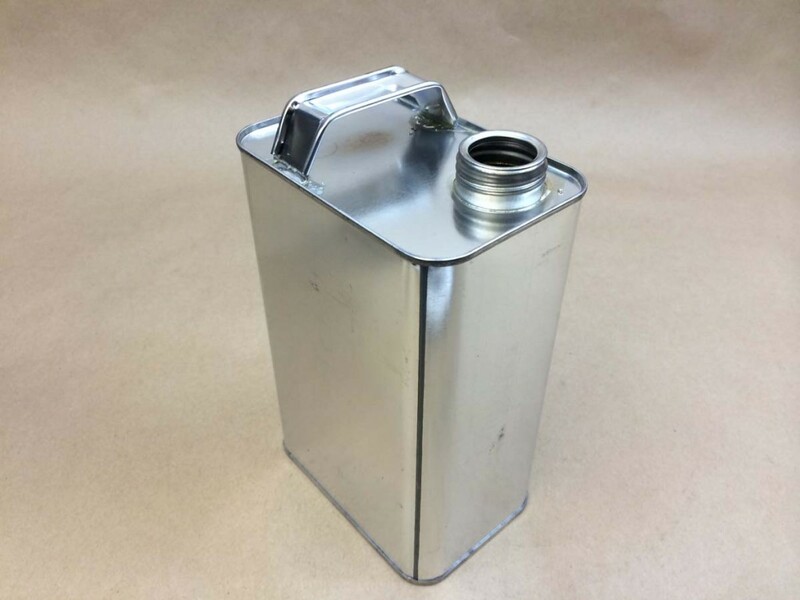 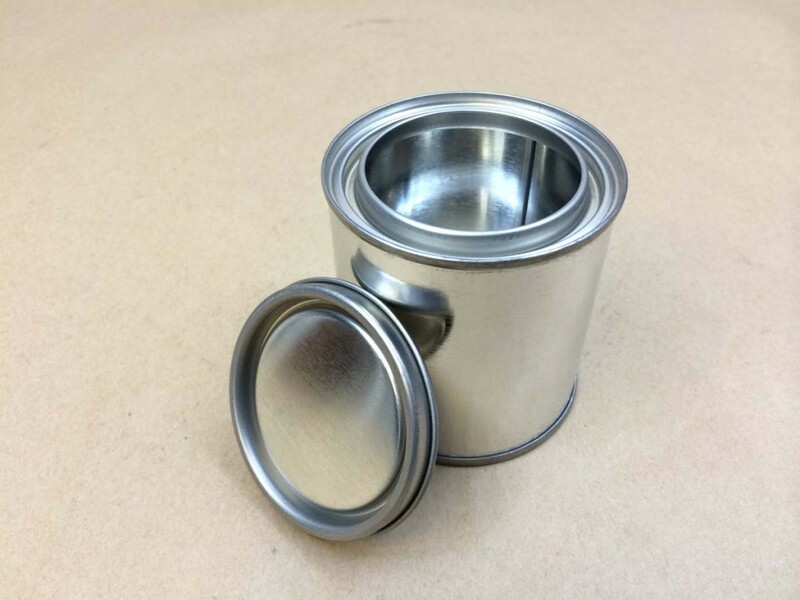 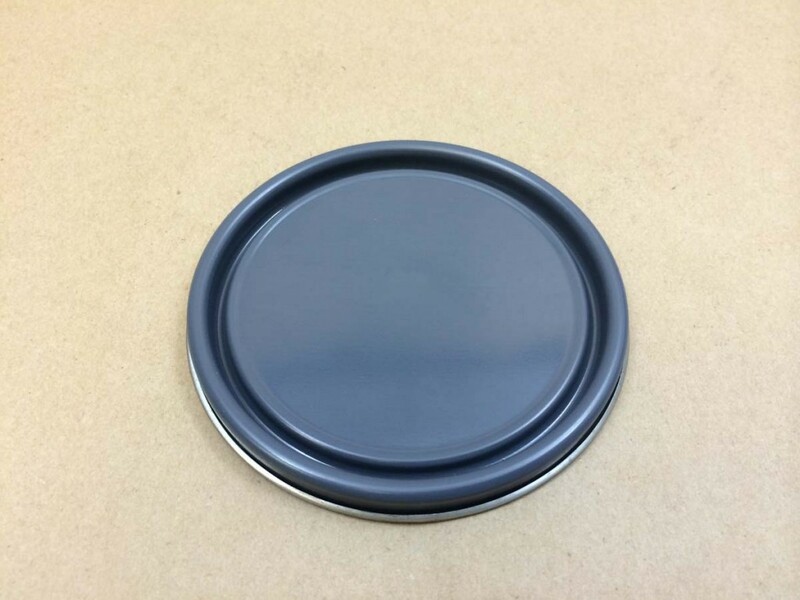 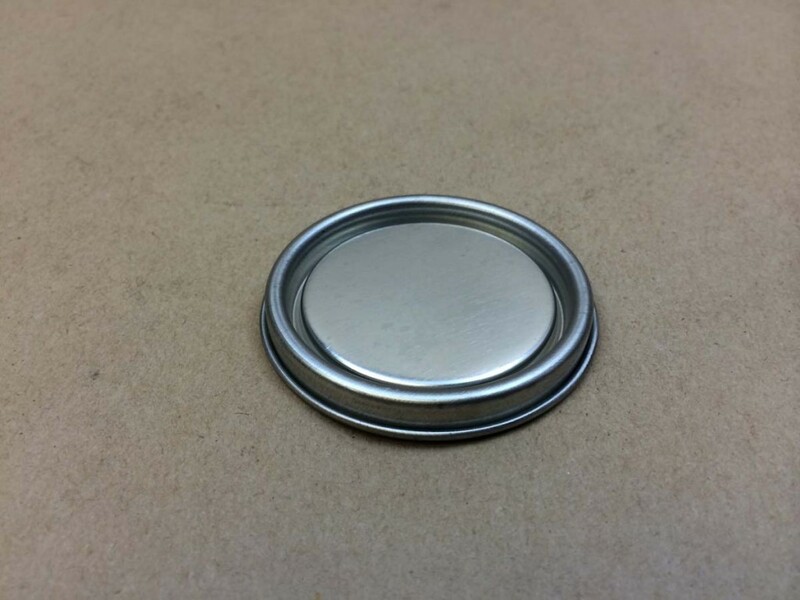 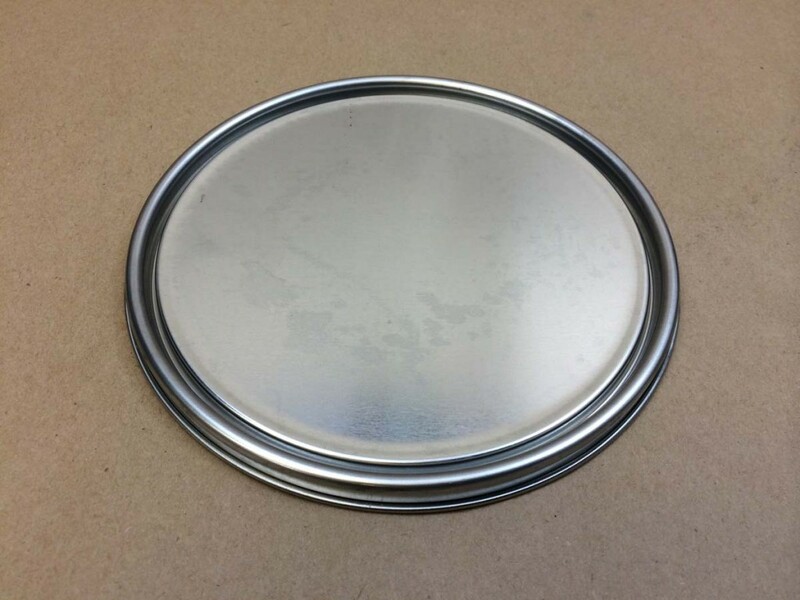 Our slip cover tins, (tea tins) or metal tins, are stocked in sizes from 4 ounces to our large tin ASC7081140 which holds approximately 1.98 US Gallons. 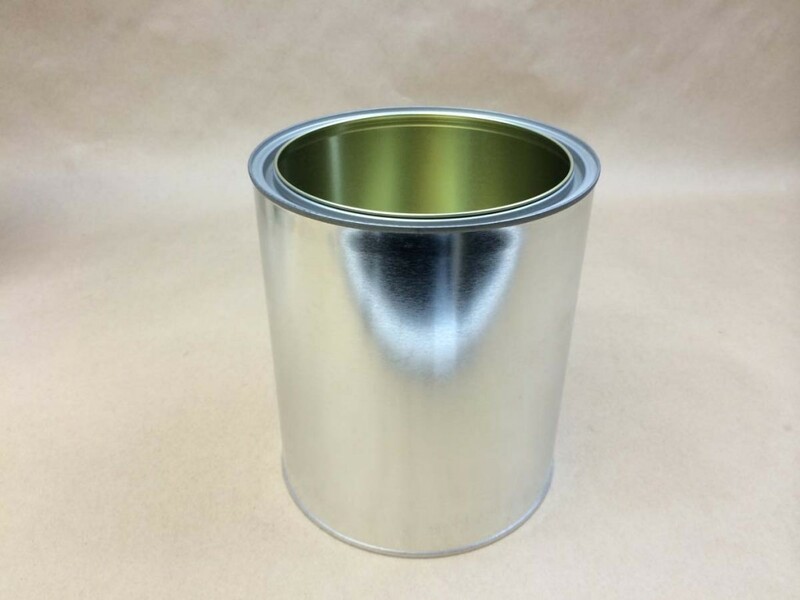 Please note that for your convenience the description of each can shows how much it can hold in liquid measurments, however, these cans are meant for dry products not liquids. 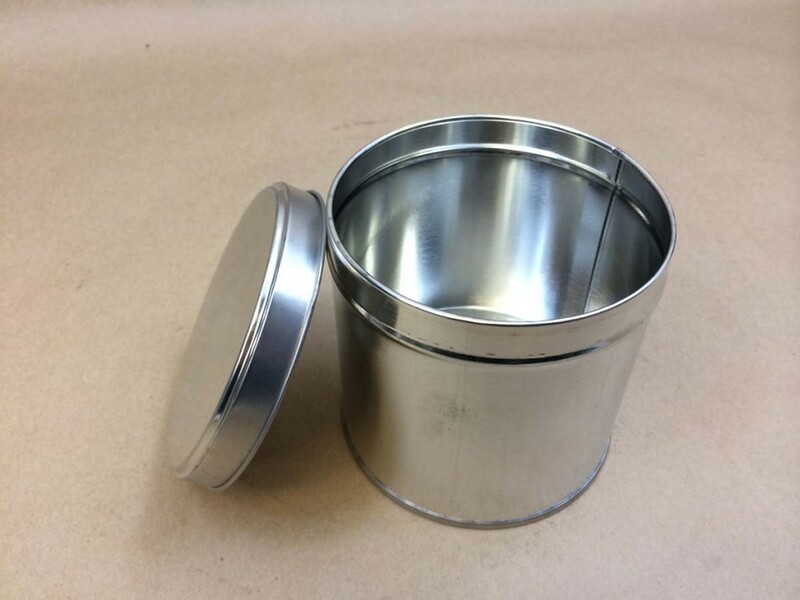 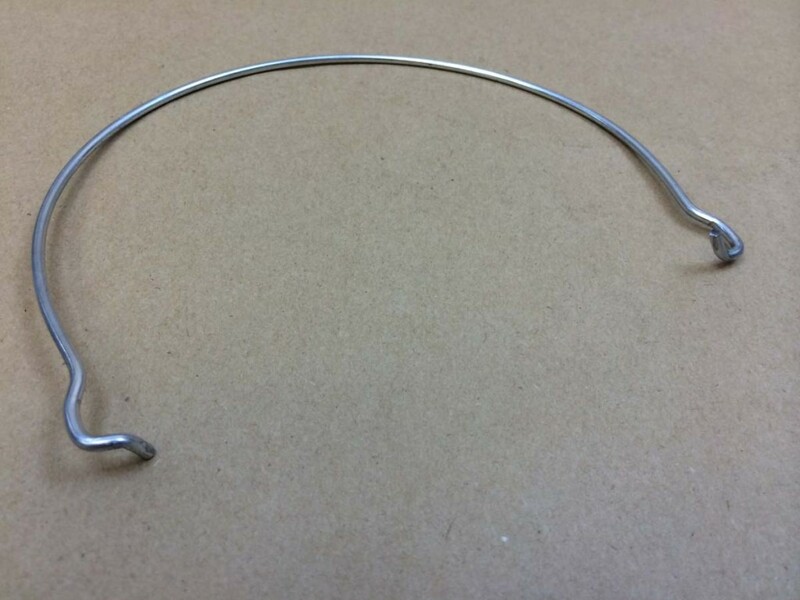 As it is the customer’s responsibility to be sure that the product he is shipping is compatible with the container, we would be happy to supply a sample for testing. 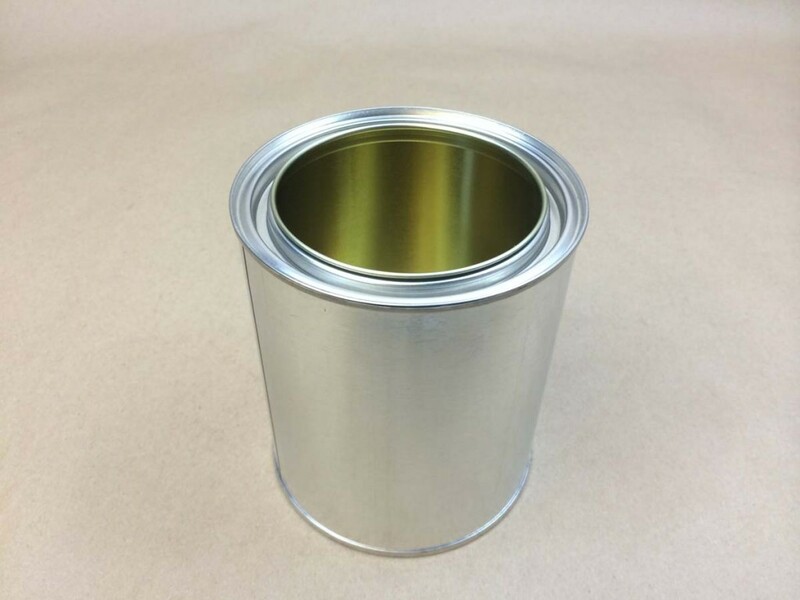 Our 1/4 pint metal can is unlined. 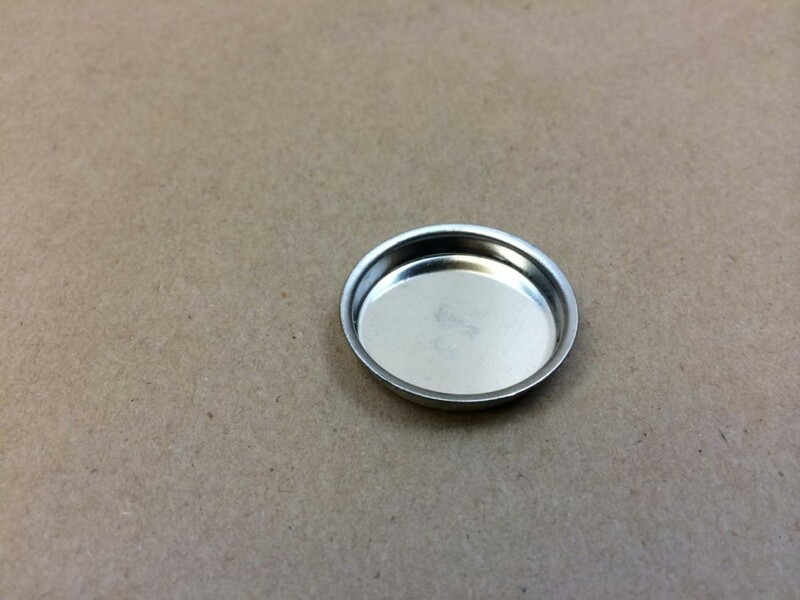 The plug (lid) is sold separately. 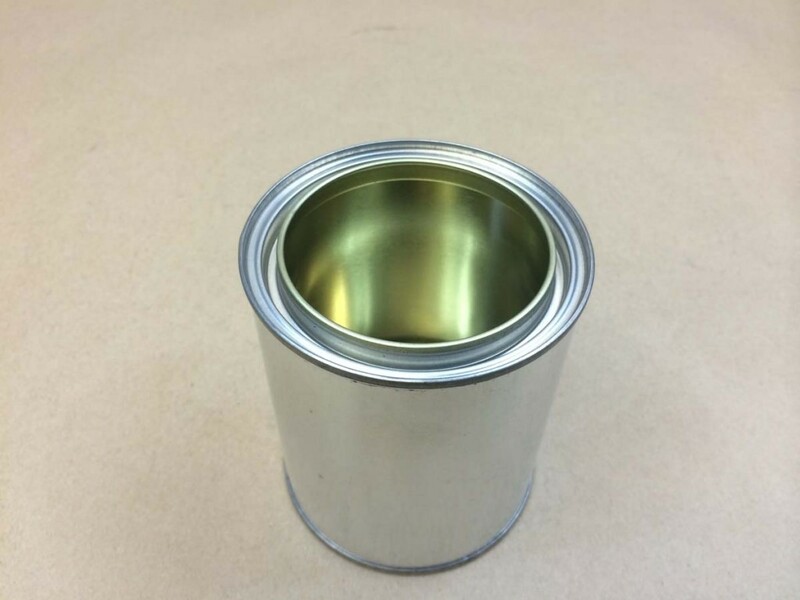 This can is intended as a dry product container, however this size can holds approximately 4 fluid ounces. 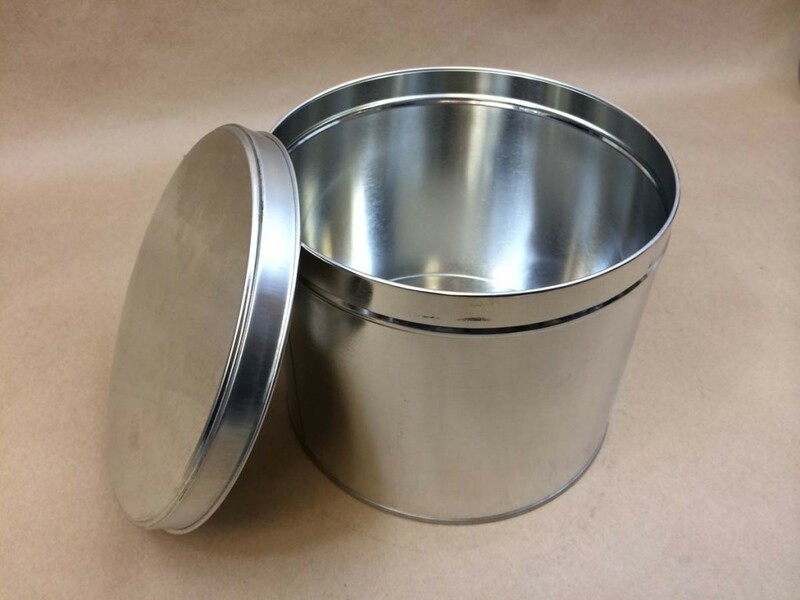 We strongly suggest that you request a sample before placing your order. 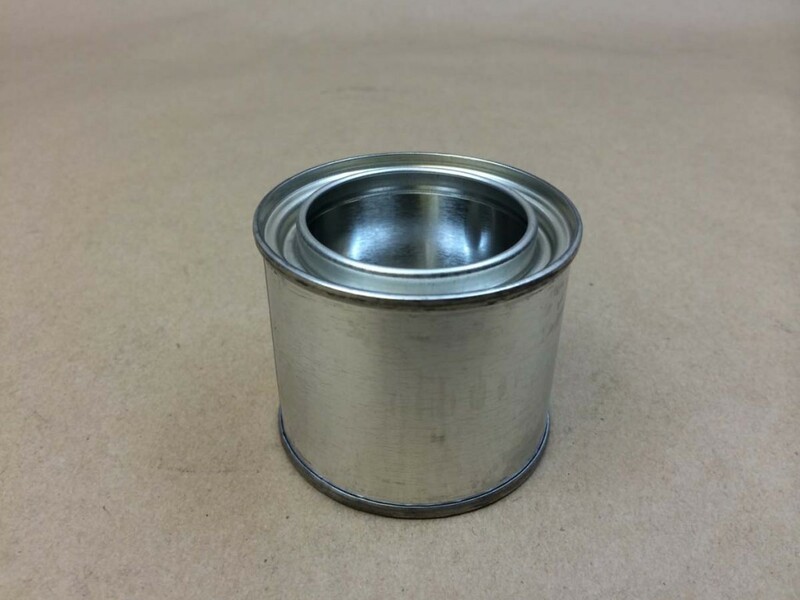 This can is intended as a dry product container, however this size can holds approximately 8 fluid ounces. 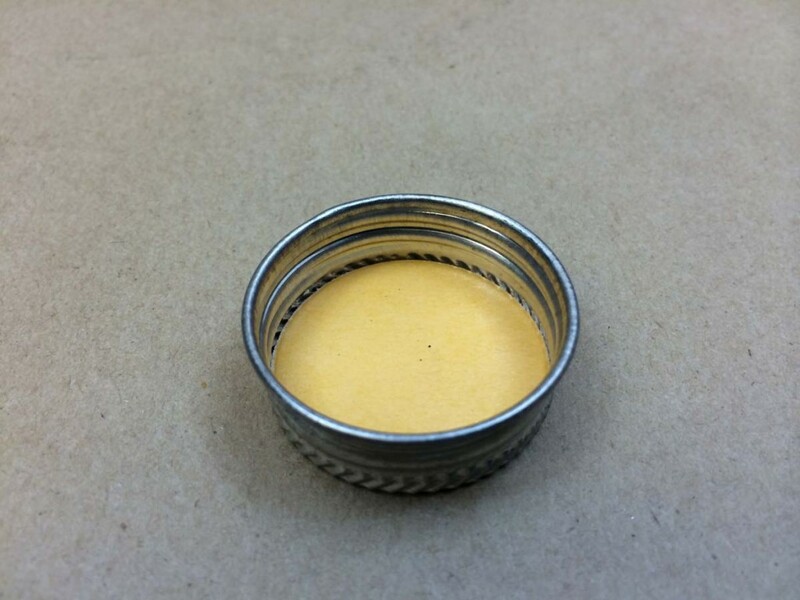 We strongly suggest that you request a sample before placing your order. 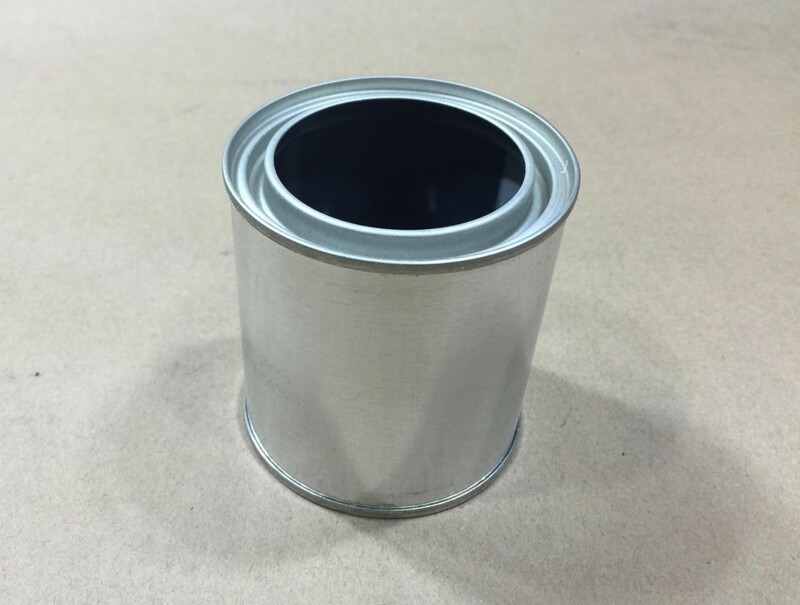 This can is intended as a dry product container, however this size can holds approximately 14 fluid ounces. 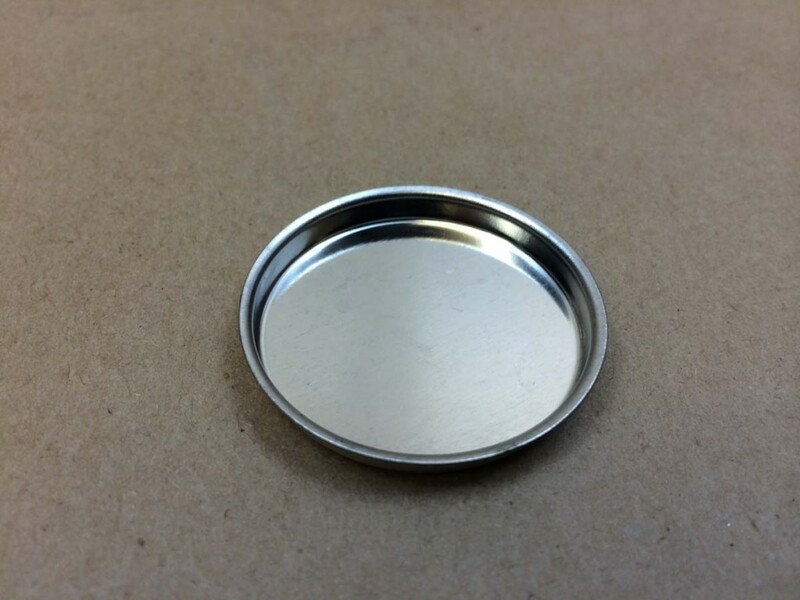 We strongly suggest that you request a sample before placing your order. 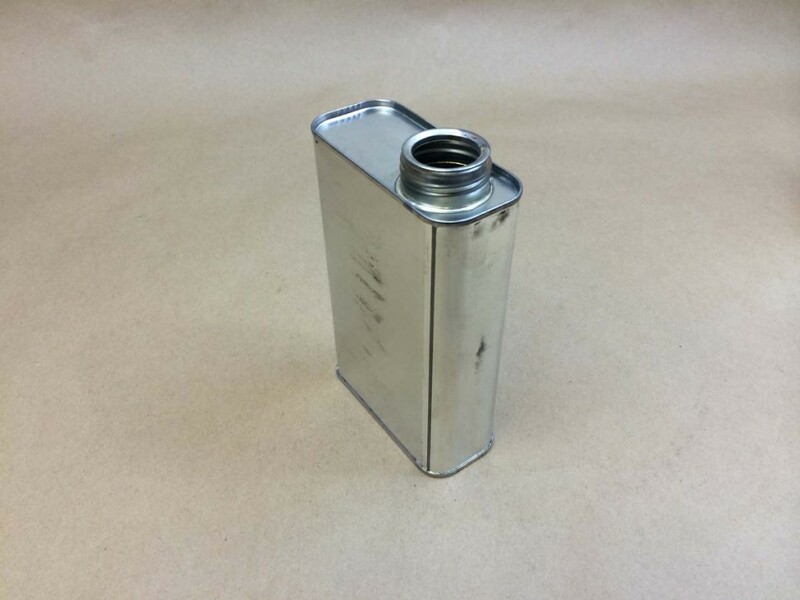 This can is intended as a dry product container, however this size can holds approximately 27 fluid ounces. 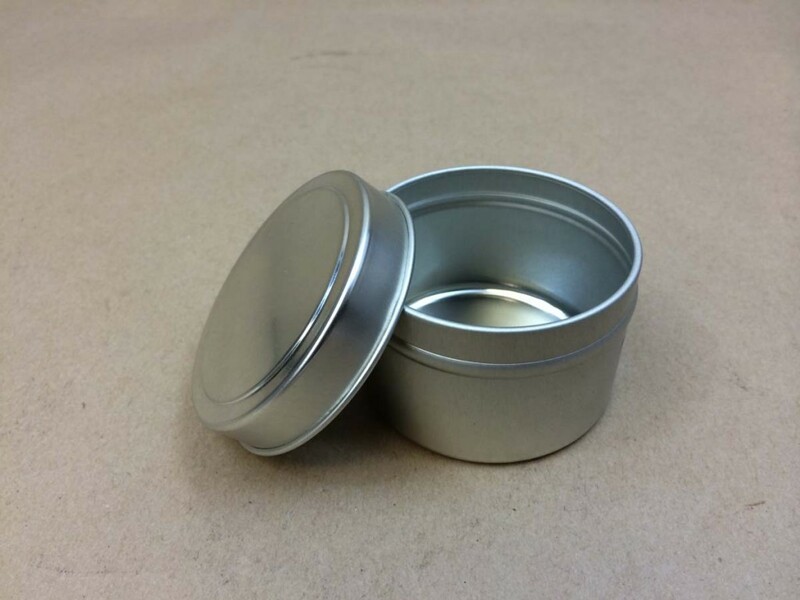 We strongly suggest that you request a sample before placing your order. 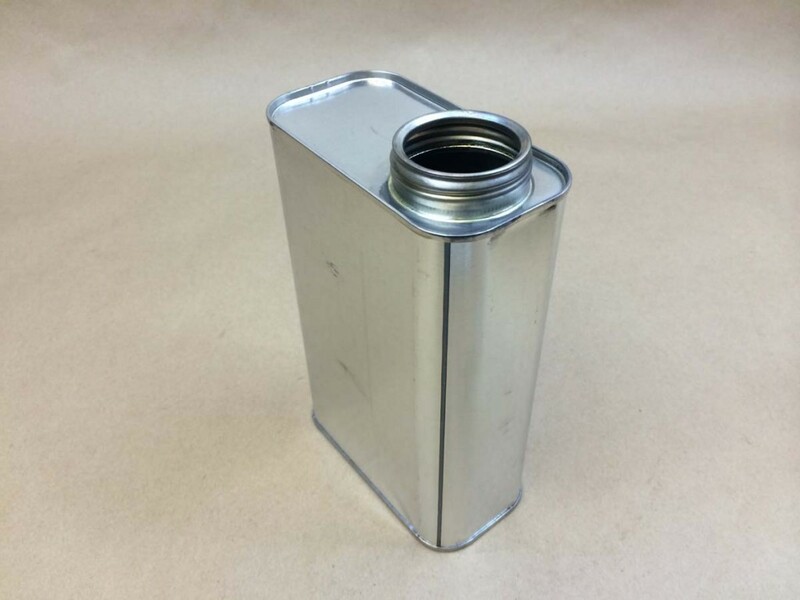 This can is intended as a dry product container, however this size can holds approximately 43 fluid ounces. 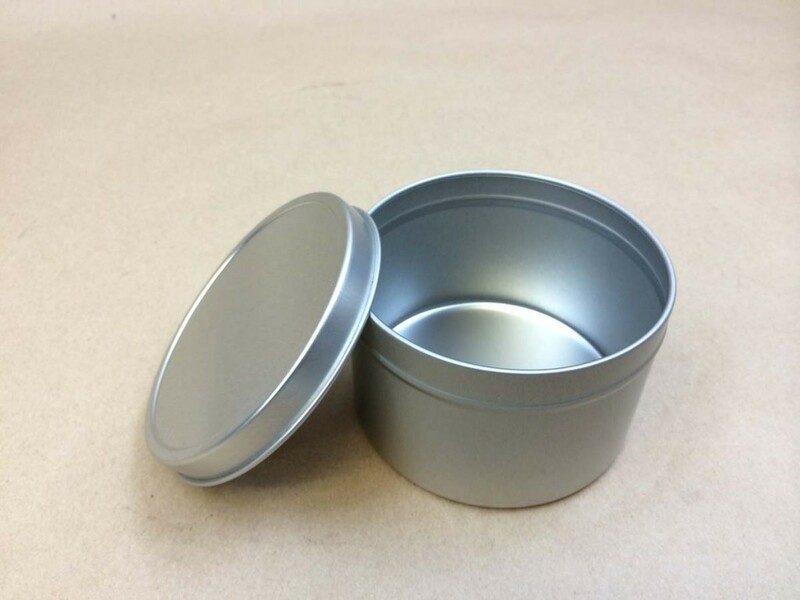 We strongly suggest that you request a sample before placing your order. 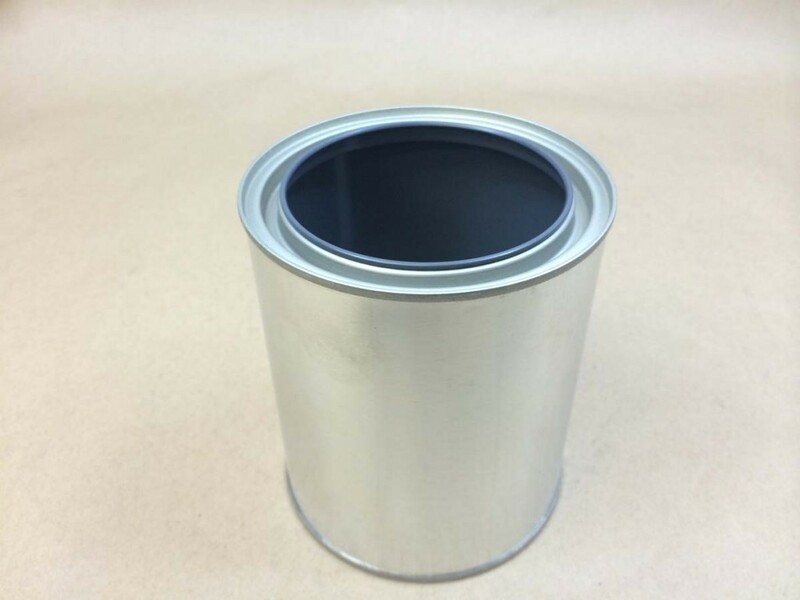 This can is intended as a dry product container, however this size can holds approximately 75 fluid ounces. 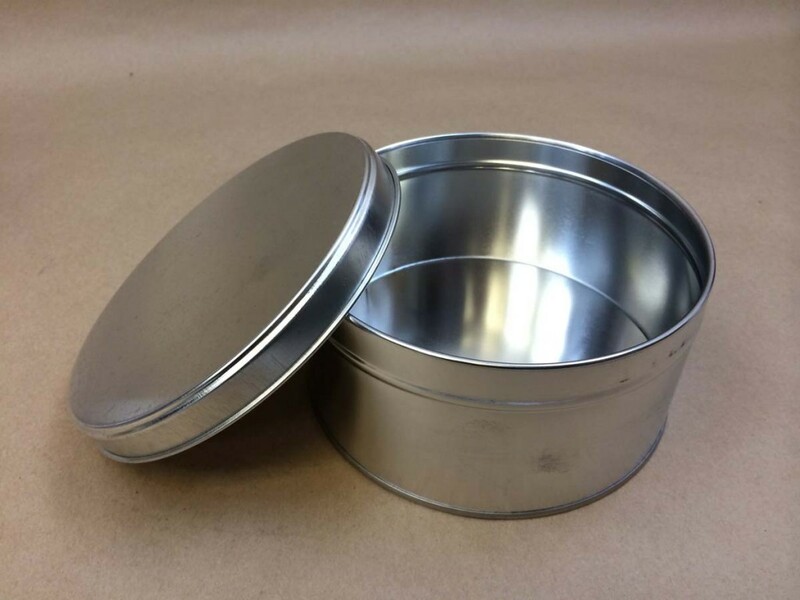 We strongly suggest that you request a sample before placing your order. 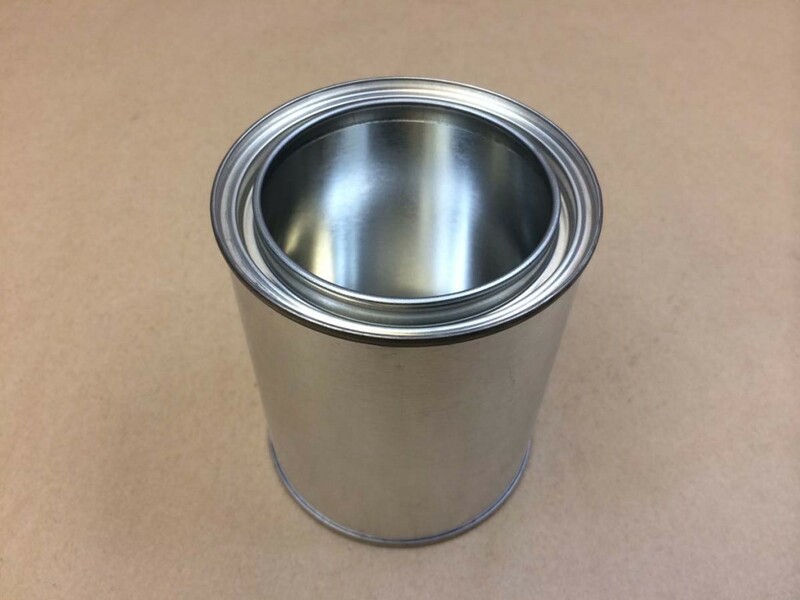 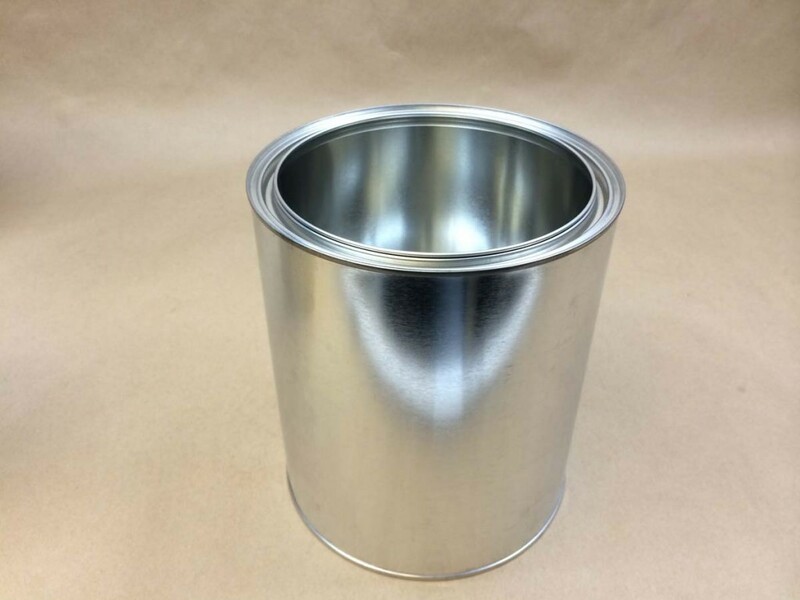 This can is intended as a dry product container, however this size can holds approximately 141 fluid ounces.We strongly suggest that you request a sample before placing your order. 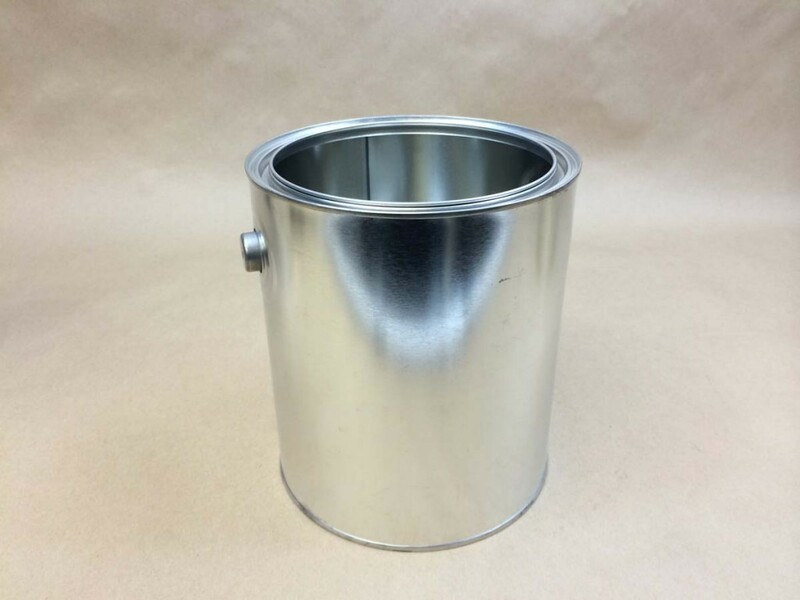 This can is intended as a dry product container, however this size can holds approximately 1.98 US Gallons. 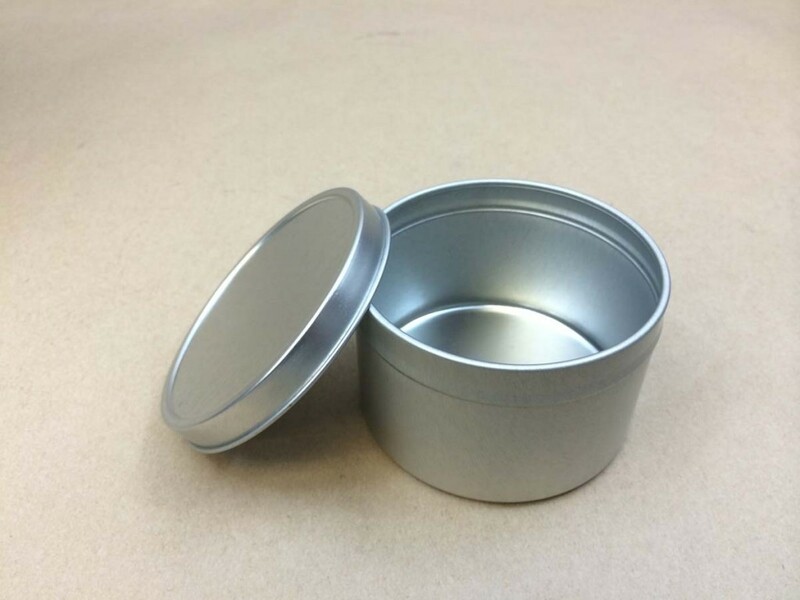 We strongly suggest that you request a sample before placing your order.